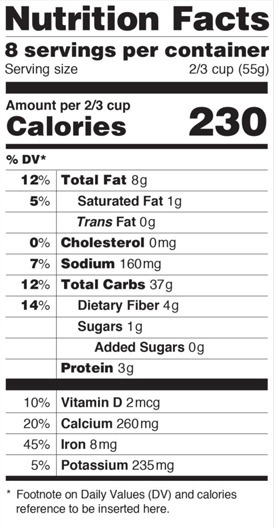 The Obama administration has unveiled the most sweeping update to nutrition labeling on food packages in more than two decades — and Americans are in for a reality check about how many calories and how much sugar they are consuming. 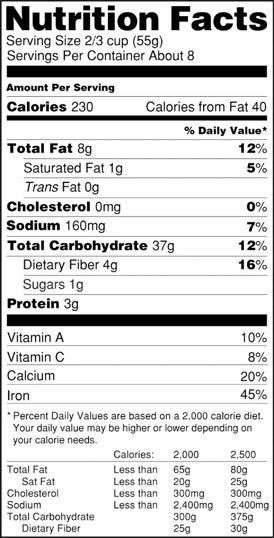 What’s considered a serving size would get larger, the type used to display calories would get bolder and added sugars would have to be listed on about 700,000 consumer products — from cereal to energy drinks — in a proposal released Thursday morning by the Food and Drug Administration. First lady Michelle Obama — whose staff was key in getting the proposal out of FDA, where the labeling revamp has been in the works for 10 years — discussed the changes at a Let’s Move! anniversary event at the White House with Health and Human Services Secretary Kathleen Sebelius and FDA Commissioner Margaret Hamburg.